OUTER SPACE MEN INVADE SAN DIEGO!! The Four Horsemen are excited to announce their Outer Space Men Comic Con 2010 exclusives! Dubbed the “Alpha Phase Waves”, each exclusive OSM character will be done in a color that represents them as they utilize their “phase” mode to secretly invade Comic Con. These color versions are completely different from their upcoming regular edition versions! 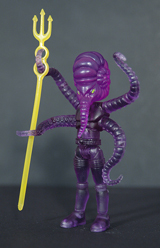 OSM Alpha Phase wave 1 will consist of translucent purple “Astro-Nautilus – the Man from Neptune” figure (with a clear yellow trident), and glow-in-the-dark “Metamorpho – the Man from Alpha Centauri” (with glow-in-the-dark accessories) and will sell as a two figure set for only $20.00! 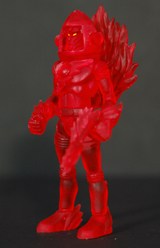 OSM Alpha Phase wave 2 contains a translucent red “Inferno, the Flame Man of Mercury” (with translucent red accessories), and a translucent orange “Xodiac, the Man from Saturn” (with clear yellow helmet and accessories), and will also sell as a set for a mere $20.00! Each exclusive version is limited to a total production run of only 300 pieces each, so they’re guaranteed to go FAST! 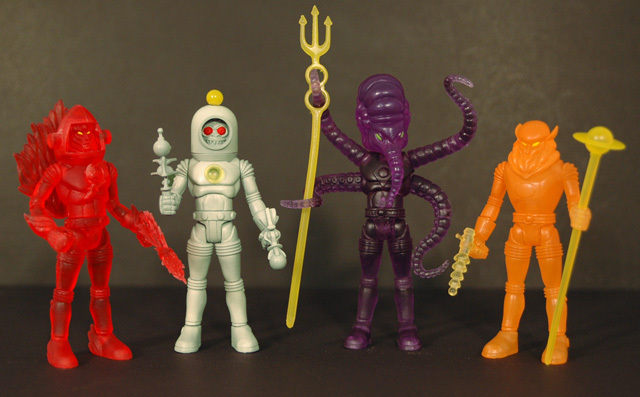 But if you’re worried about getting to Comic Con in time to get your Outer Space Men exclusive figures, fear not! The Four Horsemen vow to never forget their long-time fans, and are planning to make a very limited amount available for pre-order through their own online retail outlet, Store Horsemen (http://www.StoreHorsemen.com)! The figures will be available through Store Horsemen ONLY in full sets of all four characters for $40.00 each, plus shipping, and will be limited to one set per customer. To get in on the Outer Space Men pre-order, you’ll need to be a registered FANtastic Exclusive forum (http://www.FANtasticExclusive.com) member (please follow registration instructions carefully) by Monday, July 12th at 6:00pm eastern standard time, and when ordering you’ll need to include your message board screen-name in the comments box to be eligible! Failure to follow the registration and ordering directions will result in the cancellation of your order. All sales will be first come, first serve, unless cancellations occur. 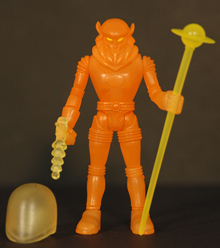 Details of the pre-order sale will be posted in the Outer Space Men thread on FANtastic Exclusive.com on Monday, after the registration deadline. 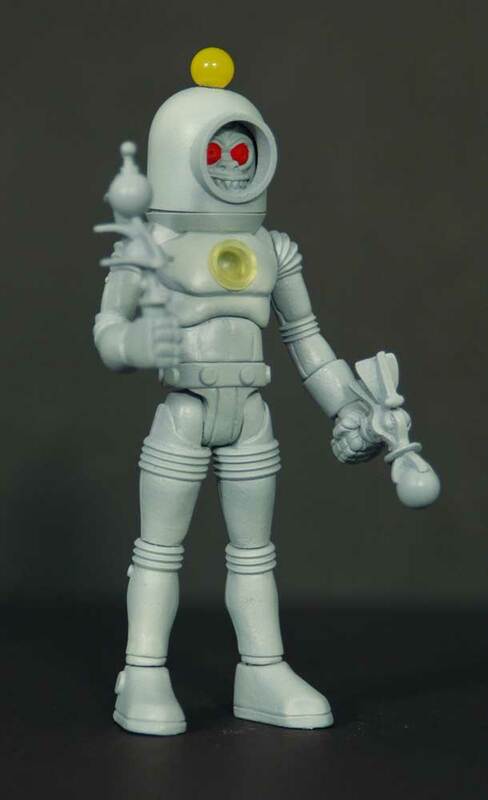 So be sure to hit Comic Con booth #4045 to pick up your extremely limited Outer Space Men Alpha Phase waves, or head on over to FANtastic Exclusive to register to the message boards, and keep your eyes peeled for more Store Horsemen Outer Space Men sales information NOW! I think the figures look great, especially the glow-in-the-dark Metamorpho, who has a very Heavy-Metal–dead-demon-astronaut vibe going on. Definitely getting these. Metamorpho looks like the lovechild of a New Series Cyberman and the Vashta Nerada astronaut. These are way cool. I wonder how fast they will sell out online…I almost bought some glyos this week, but now I'll try for these first. I, being a long time fan of Glyos figures, can't wait for these. Not a huge fan of these phase mode versions (not a fan of translucent toys and I'm not going to pay $40 for them regardless). 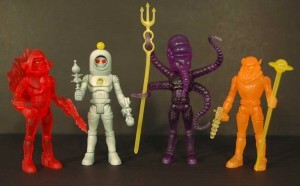 But, I am definitely going to get Astro-Nautilus' and Metamorpho's normal releases. I'd love to see a pic of one of these, or even a Glycos next to a toy I'm familiar with so I can get a sense of scale. Signed up to the Fantastic Forum recently, but haven't gotten my confirmation email yet. I may be out of luck on these. Joined the Four Horsemen forums last night to get a chance at getting these. 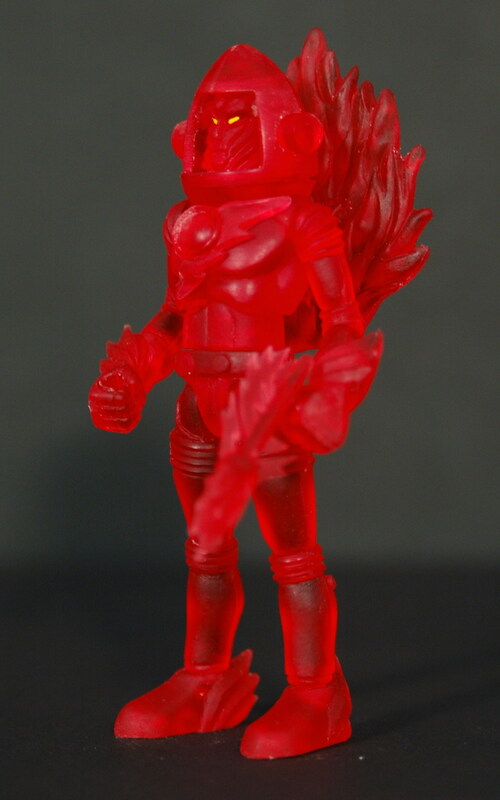 A basic Glyos figure is about 2.75" tall. These guys are 3.75". I'm going to wait for the normal releases as I dig the paint. But what strikes me as the big news here is the price… if exclusives are running $10 a figure, normal releases should be no more than that, probably less. Sweet. I think they're charming in their own way, but a wee bit over priced and they don't ring my bell. Too 'retro' for my tastes. Heavy Metal toys. Wow can you imagine? If you swap out parts between Astro Nautilus and Metamorpho you get the pretender,Octopunch!